We hope this finds you really well and enjoying 2017 so far! Another few months has flown by since our last newsletter, and we wanted to bring you up to speed on the latest activities at Mondo, including our International Women’s Day campaign, recent trips by some of our trustees to projects in India and Tanzania, as well as our reunion supper for India volunteers which took place in January. 2016 was a spectacular year and I want to thank all those at home and abroad who worked so hard to bring support, comfort and education to the families, schools and children we work with. The figures are impressive; we had a major impact on the education of 9,000 children in Nepal, NE India, Tanzania and Gambia, and helped 150 new businesses get started in Tanzania. These join the 800 we have previously funded. 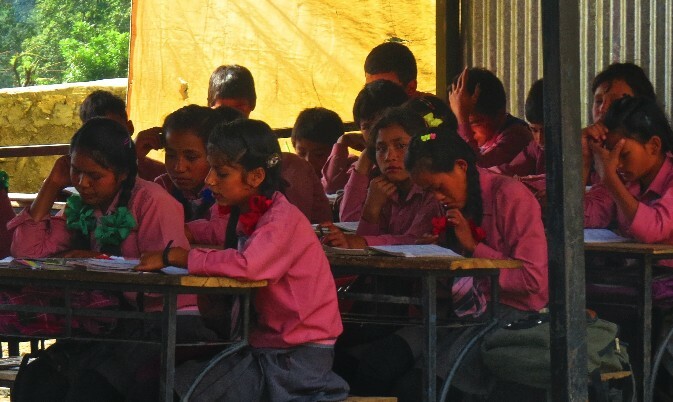 We built 50 new classrooms in Nepal and two new hostels for girls. And we provided training for 250 teachers and 60 scholarships for pupils. Most of you have made your own invaluable contribution to this work. Without that we would never have achieved these results. Going forward, we face new challenges as the charity increases its educational reach. I hope you will find the reports below as inspiring as our donors clearly do, and to them we are hugely grateful. I would also mention the wonderful contribution of our Trustees, now led by new Chairman, Simon Cowley. Connect with us for International Women’s Day! International Women’s Day is just around the corner on the 8th March. The theme is ‘Being Bold for Change’, and this continues to be our approach in India, Nepal and Tanzania. Our projects focus on empowering girls to continue their education, providing girls with hostels in Nepal, as well as a grants and loans project which helps women set up and run their own businesses in Tanzania. 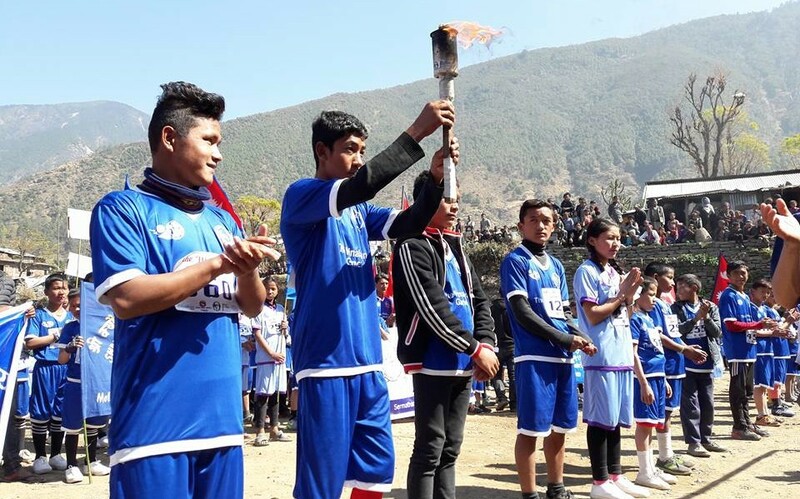 Our Nepal partners, HELP, have just organised the 2017 Himalayan Games. These encourage our partner schools and communities to foster a vibrant learning environment through the inclusion of extra-curricular activities. It attracted 430 students from 27 schools competing in 19 sports, amidst hundreds of cheering spectators. The march-past on the first day of the games was emotional as the children walked past the destroyed houses in Gunsa village which had been so badly affected by the earthquakes. 50 villagers died in Gunsa alone. The Games were therefore a chance to bring happiness to the valley, and to help students overcome the emotional trauma of the disaster. Congratulations to Norbuling School which took first place. 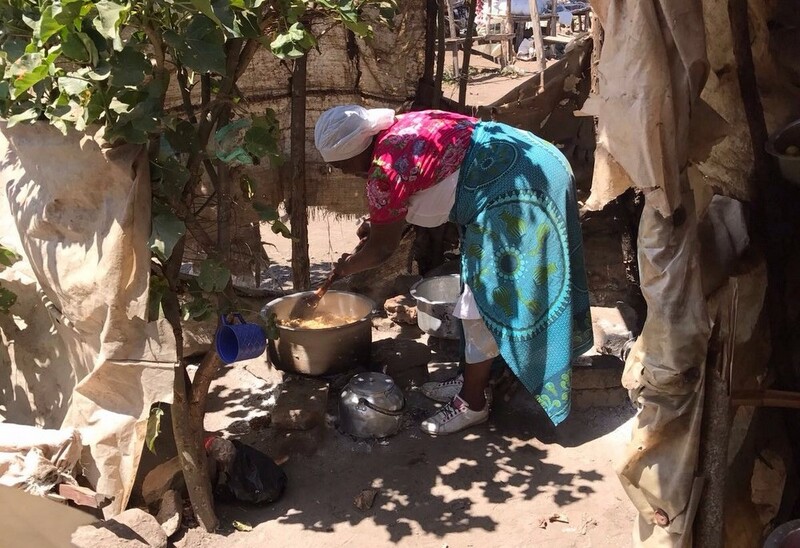 ‘I enjoyed spending a few days visiting the work Mondo is doing in the Arusha and Moshi regions, with our local team who have been busy helping those most affected by HIV. The environment has been challenging of late with a slowing economy and ongoing drought in the region.Â Despite this, I was met by an engaged team whose enthusiasm and will to improve their communities & livelihoods was very evident. 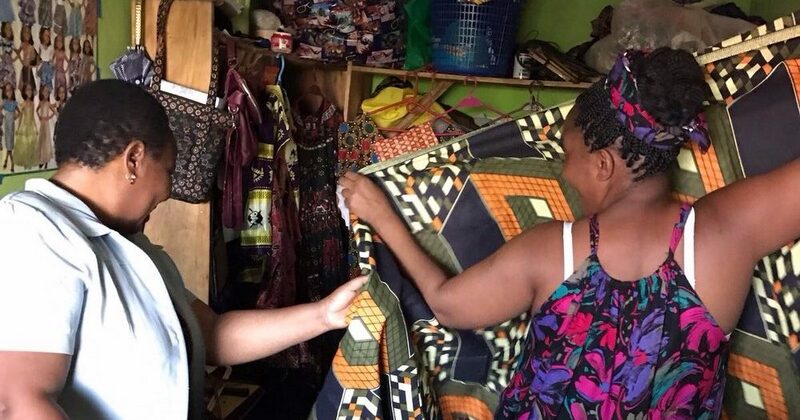 It was inspirational to see what these grants and loans, along with training, can accomplish in the hands of re-invigorated, entrepreneurial and tough working women. Another trustee, Hirsh, is currently visiting our partner schools in India, following which he will head to Nepal. Hirsh will be following up on work done by Ruth (another trustee), in summer 2016. She conducted workshops for heads and senior teachers in the Mondo schools to introduce self-assessment and planning for improvement. Since we started in Nepal and India, we have worked with teachers to improve their interaction with students and make their teaching more effective. Our Education Improvement Programme is the next step in this journey – keep an eye on our website for a blog telling the story of Hirsh’s visit! As many of you will know, volunteers are a vital part of the Mondo story past and present, and we are always interested to meet people who are interested in volunteering for one of our projects. Our volunteers come from a variety of backgrounds from teaching to business, and make a huge contribution to our work on the ground. Volunteers in the past have taught English, trained teachers and contributed to building projects, and we’d love to hear from you if you have friends, family or colleagues who may like to join Mondo as volunteers and enjoy the experience of a lifetime – please do drop us an email anytime! On a related note, we feature volunteer profiles on the Mondo website as it’s a great way to bring the work of the Foundation to life and to promote opportunities to future generations of volunteers. If you have previously volunteered with Mondo, and would be interested to contribute a volunteer memory to our website, please do drop us a line and we’d be happy to brief you in more detail. You can see some examples of volunteer profiles here. 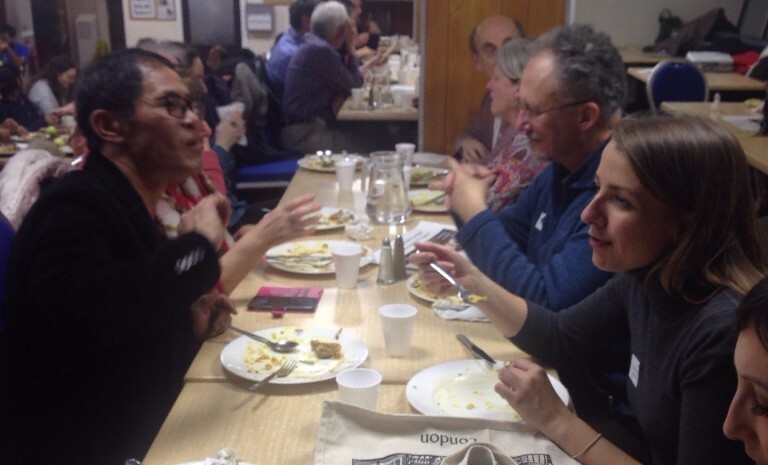 Thanks to everyone who attended the India reunion supper in January. It was our biggest ever reunion, thanks to our dear friend, Jiwan Rai, being with us. Jiwan has been local manager for MondoChallenge Kalimpong since 2001 and the first point of contact for volunteers, providing a warm welcome and support throughout their stay. It was a delight to welcome Jiwan to the UK, and he enjoyed catching up with many old friends over a good curry at the Indian YMCA! We look forward to staying in touch over the coming months, and if you’d like to get involved with any of our activities, recommend a volunteer, or just have a good catch up, please do drop us a line any time!